France Aims To Get Real: Retouched Photos Of Models Now Require A Label : The Two-Way The goal is "to avoid the promotion of inaccessible beauty ideals and prevent anorexia among young people," said France's former health minister. On Sunday, a new law takes effect in France that says a commercial image depicting a model with a digitally altered body must be accompanied by a notice. Questions about whether a perfect-looking model could possibly be real will soon be answered more definitively in France, where new rules stipulate that some digitally altered images must come with a disclaimer. 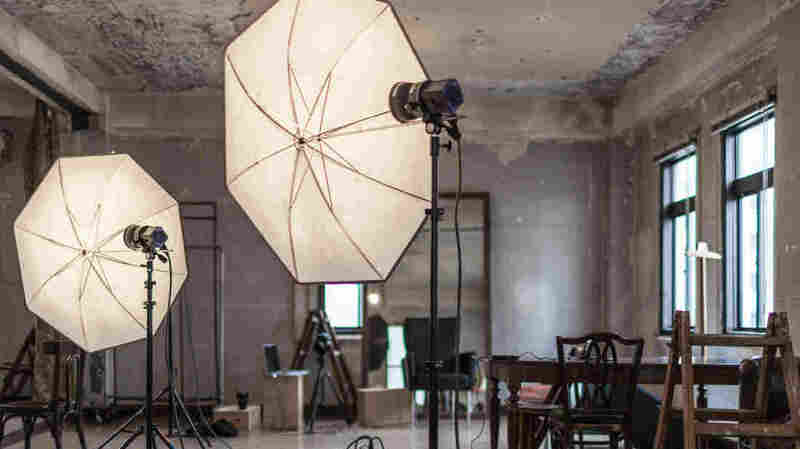 The law says any models appearing in commercial photography whose bodies have been made thinner or thicker by image processing software must be accompanied by the notice of "photographie retouchée," or retouched photograph. Failure to comply is punishable by a fine of more than $44,000, or 30 percent of the money spent on advertising. France's former health minister, Marisol Touraine, initiated the idea, reports Le Parisien. "It is necessary to act on body image in society to avoid the promotion of inaccessible beauty ideals and prevent anorexia among young people," Touraine said, according to the French daily. It reports that eating disorders affect some 600,000 people in France. France has a history of taking a stand against the promotion of unhealthy body images. In 2015, it passed a law aimed at banning the hiring of models deemed "excessively thin," reports The Fashion Law. Models who want to work in the country must get a doctor's note affirming a healthy body mass index. Italy, Spain and Israel have passed similar legislation. The Photoshopping rule goes into effect Sunday in France, but it's already having a ripple effect across the Atlantic. Also as of Sunday, Getty Images, the widely used American stock photo agency, is no longer accepting creative content "depicting models whose body shapes have been retouched to make them look thinner or larger," spokeswoman Anne Flanagan told NPR in an email. Flanagan said the move is a direct response to France's rule. She added the company is not looking to phase out such retouched images, but will be labeling those it already has. Whose Fingers Are On The Victoria's Secret Model's Shoulder? "Altering a model's body shape as described by the new French law is quite rare in commercial stock photography," Flanagan said, noting that it is time- consuming and bucks "the increasing trend toward more authentic imagery." But Flanagan says the change is an important one nonetheless. "Our perceptions of what is possible are often shaped by what we see," she said. "Positive imagery can have direct impact on fighting stereotypes, creating tolerance, and empowering communities to feel represented in society." Other companies, including Seventeen Magazine and retailer ModCloth, have pledged not to digitally alter the models they feature. The nonprofit National Eating Disorders Association, or NEDA, says numerous "studies have linked exposure to the thin ideal in mass media to body dissatisfaction, internalization of the thin ideal, and disordered eating among women." "Seventy percent of girls ages 10 to 18 report that they define perfect body image based on what they see in magazines," Katherine Record, deputy director with the Massachusetts Health Policy Commission, told NPR in 2015. Some 30 million Americans suffer from an eating disorder at some point in their lives, according to NEDA.